Is anyone here using or have used a wood fired oven for home cooking? In rural/regional areas I can see it being great but in suburban sydney I’m not so sure. Looking for some real world usage as I’m considering getting some in for my shop but it’s hard to gauge how good an overall experience the concept is. They look great on the social channels but yeah anyone got one? I've kept the one in the corner of our kitchen for ornamental reasons but we cook with gas and electric unless it's outside then it's charcoal kamado! Holy moly just googled the price of that top one $12K does it come with a Swedish Chef? They had to have alternatives for summer. It is something you can only use in the colder months. Same as @John U, my parents had one in the house the old man built at Emerald the Dandenong’s back in the 70’s. If I recall correctly we used it for heating water as well as general cooking / heating - it might have had some sort of plumbed heat exchanger coil in it that cold water would pass through. I could be wrong, or it became a pain in the arse as I also remember an on-demand gas heater going in - maybe once us kids came along? They still make them with the water jacket in the wood models. Also have electric/induction or hybrid versions now. Dont google the bottom one then....that’s around the same price and tops out at 21k if you choose the biggest combo. Each unit is handmade in England and shipped here...they weigh in at an average of 400kg. As the rep explained to me, this isn’t a lighthearted purchase. It’s a 40+ year investment, something your kids kids will still have. Cheers @foxpuppet, my memories as a kid 40 years ago are a little sketchy these days. I remember my parents making a lot of home made bread in that oven too - the smell was pretty amazing. Not sure where your shop is or what sort of clientele demographic you have but I’d suggest it’s those with plenty of time, wood and money that would go for something like that. They certainly have a romantic appeal to them, but I reckon if I tossed out the induction cooktop and FF electric oven at home for one of these my wife would either refuse to cook anymore or just leave! My ‘arty’ sister and her architect partner on the other hand... pretty sure they drove from Canberra to Melbourne to collect one of these things! Yeah they are popular around the southern highlands, out west of Sydney over the mountains etc. we have a pretty high socio economic demographic around here and people buy these things for the statement. Sometimes they have a full electric oven set in the butlers pantry so it would only get used on occasion. Alternatively they also do hybrid, wood and electric or electric and induction combos. Thanks for all the input crew! Sydney’s North Shore, Your sister is my target demographic LOL. We have a friend who is a semi retired lawyer (age 38) she snapped one of these up for her place in Leura without skipping a beat. Well I guess if you’re semi retired at 38 you’ve done ok, so there it is... time, wood and money! Leura is definitely somewhere where it would fit right in too. Hopefully all her cashed up friends and neighbours will ask where she got it from. Grew up with one. Fabulous in winter, horrid in summer. Ours was for cooking, heating and hot water. Great for grilling but tricky for baking unless you knew what you were doing. Niche market. I also grew up with one and echo everything you've said. Summers were truly horrible at night if the stove had been lit. Can see it being worthwhile in a colder climate but on the mid-north coast of NSW where daily temps are 30+ for 4-5 months of the year, it wasn't ideal. If someone can afford $12k+ on a wood stove, then I guess they can afford to have the aircon on to offset it. 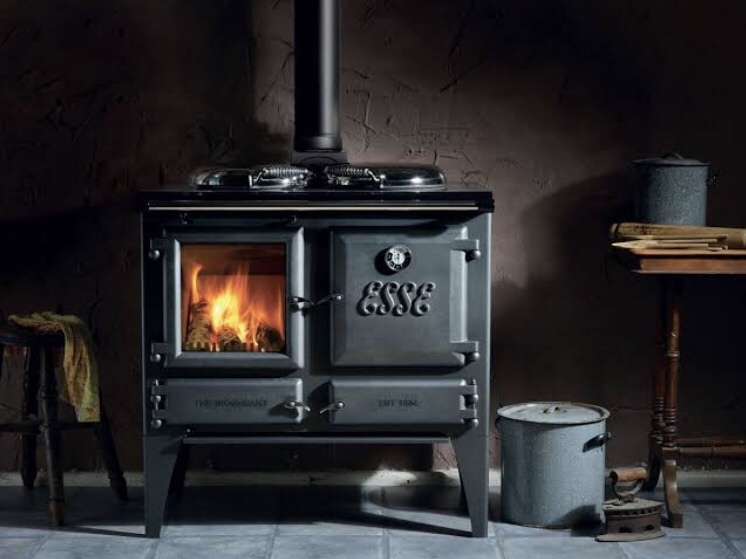 Curious to why anybody would want one, if it's for cooking there are much better options, if it's for heating there are much better options, for air quality there are much better options, ditto for CO2 and forests. Most important though is to think of the bike(s) you could buy for that money. Had one for the first 18 years of my life then moved to a house with ducted heating and a gas cook top. Found out how the other half live. The big excitement was you could grill cheese and check out your cakes through the glass door as they cooked. The stoves are kinda like a single speed mtb - they have a cool factor that people like but there are easier and arguable better choices for the majority of the time. Yep have used one for 40 yrs mainly Rayburn Supreme. You would have to be mental to use it in summer , we have a convection microwave and outdoor LPG stove + oven for that. I have rebuilt one when the boiler leaked terminally. 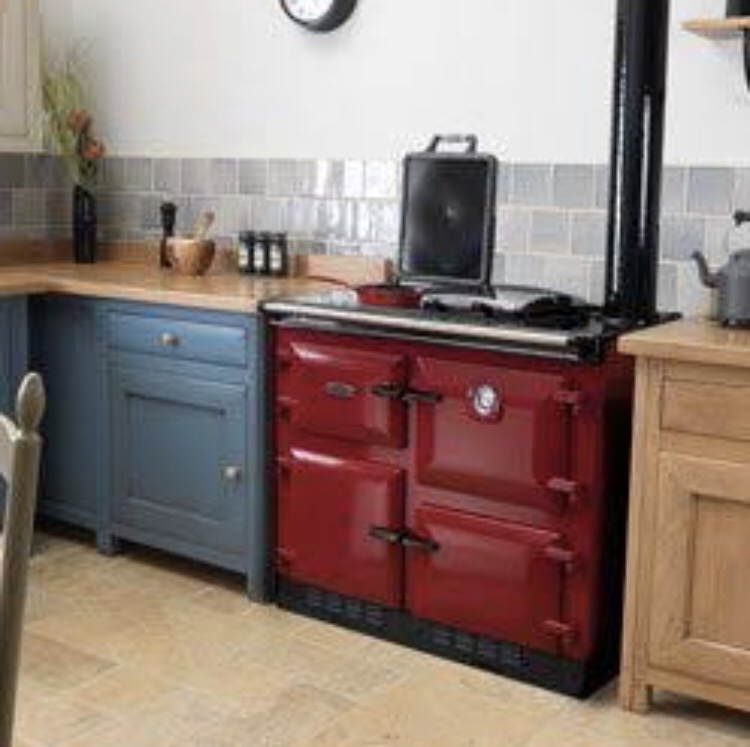 Current Rayburn second hand owned now about 12 years . Most people around here on farms use them for cooking heating + hot water as wood is everywhere. My grandparents had one, loved it.